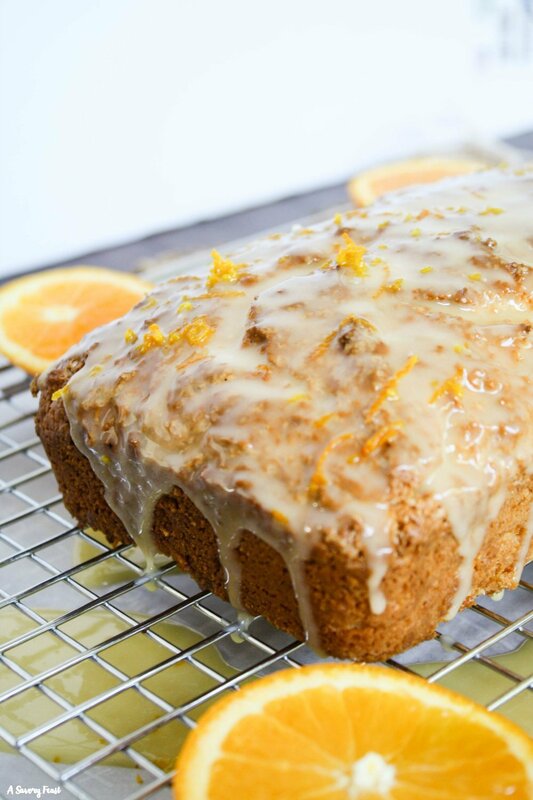 A delightful Spring dessert, this Orange Cream Cheese Loaf is made with fresh oranges and uses cream cheese instead of butter. 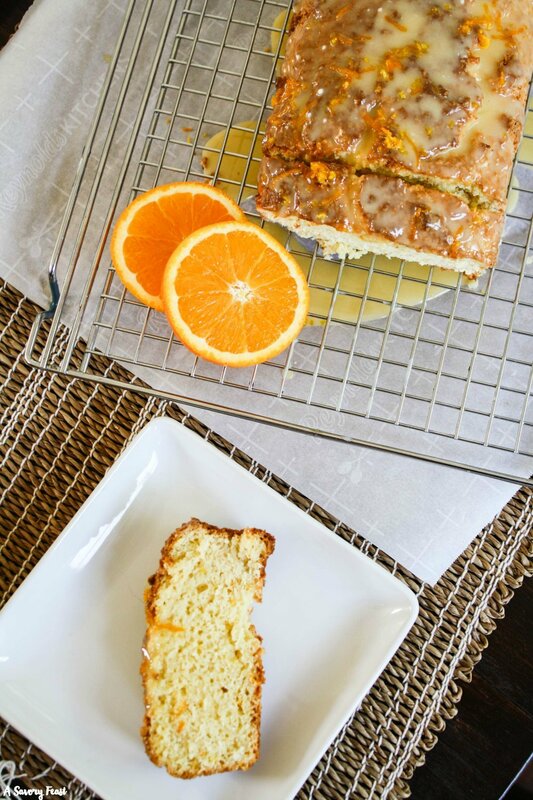 The loaf cake is flavored with fresh squeezed orange juice and orange zest, then topped with a sweet orange glaze. I’m sharing my last recipe for #SpringSweetsWeek today! 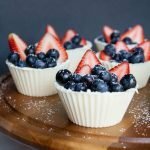 Did you catch my Mini Strawberry Mousse Tarts and Easter White Chocolate Dipped Sugar Cookies? 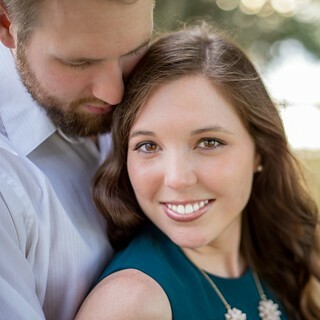 This week has been so much fun! 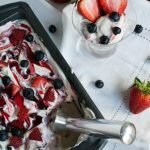 I joined in with 30 other bloggers to share dessert recipes to get you inspired for Spring baking. We also have a fun giveaway for you and it’s not too late to enter! Be sure to enter to win all the great prizes at the bottom of this post. 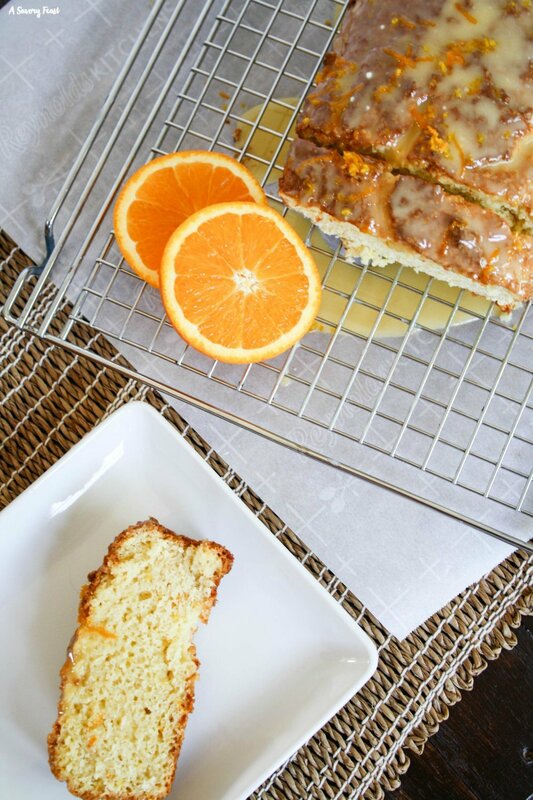 For this Orange Cream Cheese Loaf Cake, I used Nancy’s Organic Probiotic Cream Cheese to create the perfect texture and flavor. Typically recipes like this would use butter, but I used this cream cheese instead. Nancy’s cream cheese is so tasty and it’s nutritious too. I love having it in the house to spread on bagels or banana bread, but it’s also great for using in recipes like this. 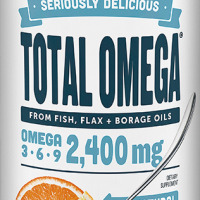 The orange glaze gets it’s flavor and color from the Barlean’s Seriously Delicious™ Total Omega® Orange Crème. This supplement is a fantastic and delicious way to get your omega-3 in, but it also works great in recipes. This pretty cake is quite simple to make. It doesn’t take a whole lot of time or ingredients to put together. The cake is made with a few basic ingredients including the Nancy’s cream cheese. It’s flavored with fresh squeezed orange juice and orange zest, which also gives the cake a slight orange color. 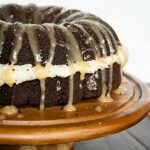 The glaze is my absolute favorite part of this cake! I could drink it plain. It’s made with powdered sugar, the Barlean’s Seriously Delicious™ Total Omega® Orange Crème, vanilla and milk. I recommend icing this cake by setting it on a cooling rack that is placed on a sheet of parchment paper. Pour the glaze over the cake, sprinkle with more orange zest and wait for it to set a bit before transferring to a cake stand or serving dish. Then all you have to do is throw away the parchment paper and there’s not a big mess to clean up! This cake is definitely best served fresh right after you finish glazing it or at least the first day. You can keep it out on the counter the first day. If you end up having leftovers, keep them in the refrigerator but take the cake out for a bit before serving it again. Preheat oven to 350 F. Grease a loaf pan (approx. 9x5x3). In the bowl of your stand mixer, beat together the cream cheese and sugar until smooth. Add in the eggs one at a time, mixing until fully combined. Stir in the orange zest and orange juice until mixed. 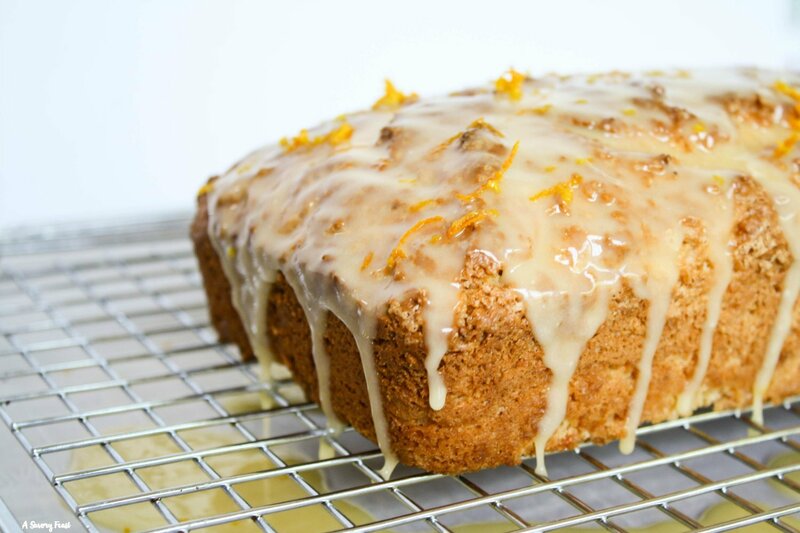 If you have any leftover orange zest, save it to garnish the cake later. In a separate bowl, mix together the flour, baking powder and salt. Add the dry mixture into the wet slowly, mixing until combined. The batter will be thick. Transfer the batter into the prepared loaf pan and bake for 55-60 minutes or until a toothpick inserted into the center of the cake comes out clean. Let cool in the pan until you are able to handle the pan, then turn the cake out onto a rack to cool completely. In a small bowl, whisk together the powdered sugar, Barlean's Seriously Delicious™ Total Omega® Orange Crème, vanilla extract and milk. Check that the consistency is good. It needs to be thin enough to drizzle, but thick enough to not just fall off the cake. If your glaze is too thin, add more powdered sugar. If too thin, add more milk. Pour the glaze over the cooled cake and sprinkle with orange zest. Let set before cutting into slices and serving. This cake is best served fresh the day you make it. 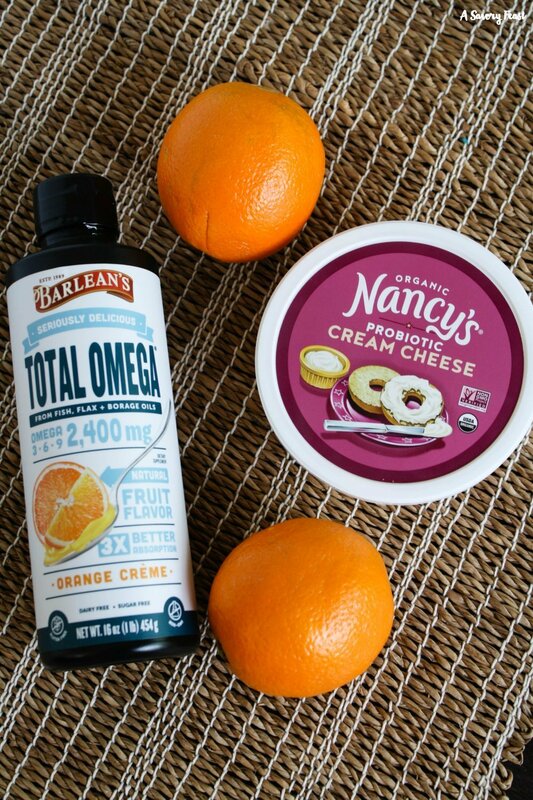 If you don't have the Barlean's Seriously Delicious™ Total Omega® Orange Crème, you can substitute with orange juice instead. Enter to win a huge #SpringSweetsWeek prize pack featuring products from our sponsors. Check out my post from Monday for more information about you could win and then enter using the Rafflecopter below. Cream cheese instead of butter?? GENIUS!! I can’t wait to try this. It looks divine. Sounds amazing, I’m planning to make this later today! Oh my goodness this looks good. I love orange flavor in baked goods. This loaf cake looks so delicious! The orange and cream cheese combo sounds scrumptious. 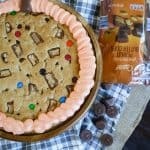 This is a totally creative way to use these ingredients! Plus, your loaf cake is gorgeous! This orange flavored cake sounds amazing! Love that it has cream cheese too. That glaze is making my mouth water. We love orange treats so I am going to have to give this a try! 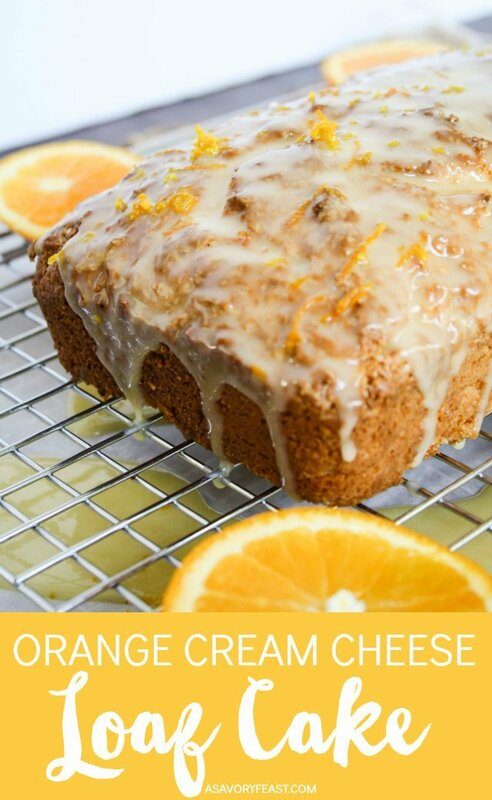 Love orange flavoured desserts, and the glaze sounds amazing! Such a great way to use Barlean’s Orange Creme! This sounds amazing, I love citrus desserts. Isn’t that Barleans Orange Creme good?! What a stunning and delicious looking bread! 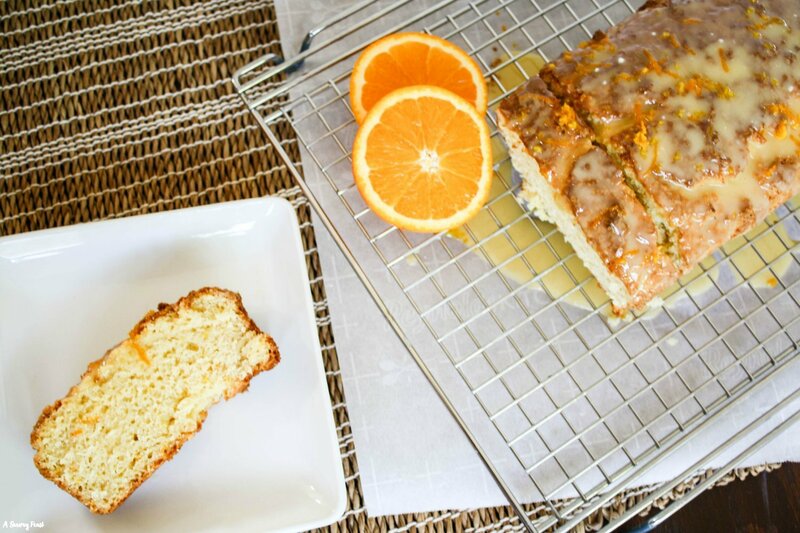 I love orange, and I bet this bread is sweet and full of citrus flavor! I can’t wait to try it. I am so glad you tried the cream cheese. What a delicious treat with orange. I love that you used cream cheese instead of butter. Because…cream cheese is life! And the orange cream omega swirl?? Yes! This looks wonderful! I’m excited for spring but totally not ready to let go of winter citrus. This is perfect for the changing weather. I want to make this for Easter brunch! It is so perfect with the orange cream flavor!